Creationist researchers strive to understand what the earth’s rock record has to teach us about God’s judgment and mercy. While we never waver on God’s Word, we must constantly reevaluate models and adopt new ones if they make better sense of the evidence. British researcher Paul Garner made such a radical shift when he learned what the catastrophic plate tectonics (CPT) model can explain. It’s encouraging to see the growing number of modern scientists engaged in constructing the creation model of origins. For a long time, I’ve felt that simply attacking evolutionary theories is insufficient. Instead, our main efforts need to be channelled into showing how the biblical framework of history explains the world around us better than any alternative. Creationists want to reclaim the natural sciences for Christ, and that means constructing new theories in biology, geology, and astronomy that are founded on the Bible and consistent with the scientific data, and then fitting those theories together in a coherent creation model. This is no easy task. It’s much simpler to criticize evolution than to build positive alternatives that can withstand rigorous examination. Trained in the earth sciences, I have focused my interest in developing a creationist theory of earth history. 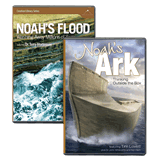 Since the advent of modern geology, John Whitcomb and Henry Morris’s 1961 book, The Genesis Flood, was pretty much the first attempt to create a creationist theory of the earth. But it was only a start. Their ideas need to be updated, improved, built upon, and integrated with new theories to produce a coherent creationist model of earth history. The Bible gives information that can help in interpreting the clues we unearthed in geological studies, but many questions remain. For example, which are the Flood layers? Which are the Flood Layers? Much of the earth’s geological record consists of sedimentary rock layers laid down by water, such as mudstones, limestones, and sandstones. In most cases, these layers built up sequentially, one being laid on top of another in the manner of a multi-layer sandwich. Provided that earth movements have not disturbed the sequence, the oldest layer will be at the bottom of the pile. Early in the rise of modern geology, the portion of the geological record that includes animal fossils was divided into four main parts: the Primary (later called Paleozoic), Secondary (later called Mesozoic), Tertiary, and Quaternary (see below). Whitcomb and Morris suggested that all these layers were laid down in Noah’s Flood. 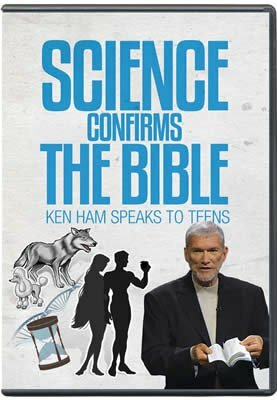 However, in the 1980s, some creationists began to suggest that only the Primary sediments were laid down during Noah’s Flood. They made this suggestion to explain otherwise puzzling features of the rock layers, in particular the existence of structures such as reefs, soils, and colonized seafloors that apparently took longer than just the year of the Flood to build up (though not millions of years). This seemed to be an interesting avenue to explore, and in the mid 1990s I contributed to a symposium in which I argued that the Flood/post-Flood boundary must be placed somewhere near the top of the Primary layers. It’s fair to say that this proposal proved controversial and generated a great deal of discussion and debate! Over the next few years, however, I began to find a number of problems with the theory that I’d helped develop. It became evident that many of the features that had led me to conclude that the Secondary layers were post-Flood were also present in the Primary layers. I began to wonder whether the end of the Flood should be pushed even further back in the geological record. If this were true, however, creation geologists would have to account for even more sedimentary layers laid down after the Flood. But my study of the biblical genealogies had persuaded me that the time between Noah and Abraham was fairly short—perhaps no more than 350 years. This didn’t seem long enough to accommodate so much erosion and earth movement, unless the post-Flood period was almost as catastrophic as the Flood itself. Another problem I saw concerned the breakup of the earth’s continents. The geological evidence that the continents had once been united into a single supercontinent was very strong, but how and when did they break apart? I soon realized that, if the Flood ended much lower in the geological record as I had suggested, then much of the continents’ breakup must have taken place after—not during—the Flood. But this raised a serious problem. The known physics indicated that the earth’s plates could either move very fast (as during the Flood) or hardly at all (like today). There didn’t seem to be any way for them to move at moderate speeds, which is what the post-Flood theory required. Another concern was that placing the end of the Flood so low in the geological record completely “decoupled” the Ice Age from the Flood. 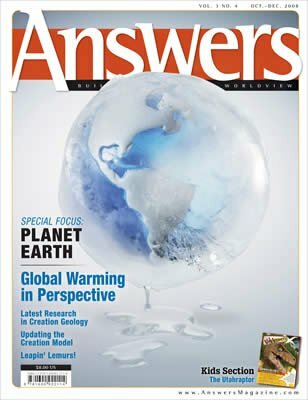 Creationist modelling in the 1990s had successfully shown how widespread ice sheets could have developed after the Flood, as moisture from the warm oceans fell as heavy snow on the cold continents. However, if the Flood were pushed further down in the geological record, the Ice Age would have begun long after the Flood. This bothered me because it left me without any explanation for the Ice Age. One final factor was the realization that I had failed to take account of the bigger picture. When dealing with very specific geological problems, it’s easy to “miss the forest for the trees.” A broader context adds a fresh perspective. This broader context is the thick and uniform sediments extending across continents in the Primary and Secondary layers. In the Tertiary and Quaternary layers these continent-scale patterns are largely absent, with most sediments restricted to more local areas or basins. With this in mind, the most obvious place to locate the end of the Flood was near the top of the Secondary layers, at the point where continent-scale processes gave way to regional-scale processes. My favored model was inconsistent with this big picture. After years of grappling with the combined weight of these considerations, I felt I had to change my view. But whatever I did accept needed to put all the pieces together. For example, I wanted to explain the evidence that the continents were breaking up at the same time that the Primary and Secondary sediments were being laid. What mechanism could break up the continents so quickly? In 1994, a team of creationist researchers had proposed just such a theory, called catastrophic plate tectonics (CPT). It turns out that the CPT theory is able to explain much more than the breakup of continents. For instance, it explains everything that conventional plate tectonics explains and more (see “The Missing Piece,” p. 61). Continents plowing through the ocean floor? How geologists came to accept this radical idea is one of the most interesting stories in modern science. But the evidence became overwhelming with the development of new instruments to study the ocean floor. Recent discoveries have left geologists with new puzzles. For example, deep in the earth’s mantle are pieces of cold plates that apparently came from the earth’s surface. How could these cold plates sink slowly through the hot mantle (up to 7232°F), over millions of years, without “melting”? In their search for answers, conventional geologists are hindered by a belief that the earth’s plates have been moving at current, slow rates (1–2 inches per year) for millions of years. Creationists, on the other hand, know from the data of Scripture that the earth has only been around a few thousand years. Using the Bible’s history as their starting point, these scientists were ready to take the theory of continental movement to the next level. They worked out a theory, called catastrophic plate tectonics. CPT included the best parts of the earlier theories but added speed. Recent studies of granite have shown that silicate rock, under stress, can weaken by a factor of a billion or more. This means that, under the right conditions, the continental plates could move a billion times faster than today. The Flood provided the necessary conditions. CPT explains many problems that are a puzzle in conventional plate tectonics. For example, how did plates ever have enough energy to drive their way down through the mantle layers, which currently prevent plates from moving any lower? Also, how could cold crust material sink to the earth’s core without melting? The answer is to speed things up in a catastrophic, global Flood! CPT also seems to be consistent with the biblical details about the Flood, such as the breakup of the “fountains of the great deep,” the forty days and nights of rain, and the flooding of the continents. The emission of vast quantities of molten rock onto the bottom of the ocean raised the seafloor, raising the water level and flooding the continents. Also, this magma heated the ocean water, which later generated the heavy snowfall of the Ice Age after the Flood (see “A Dark and Stormy World,” p. 78). Of course, that isn’t to say that CPT has all the answers or has solved every problem. Outstanding questions remain, such as how to explain the removal of the heat that would have been generated by the rapid breakup of the continents. However, I’ve come to think that the issues facing CPT are not insoluble and, in fact, they suggest some interesting avenues for further research. To me, the CPT model has the greatest potential to bring together information from a variety of scientific fields, including geology, geophysics, paleontology, and climatology, in a full-fledged model of the global Flood. One of the important lessons I’ve learned from this process is the need for Christians to exercise humility in our search for the truth. We don’t have all the answers, and our scientific hypotheses may be wrong. So we ought to be ready to concede our models as the evidence demands. We must continually seek a better understanding of the Bible and the scientific data, even if it means revising or rejecting our cherished ideas. Scientific theories—even creationist ones—are tentative, and we should learn to hold onto them loosely. Of course, the other side of this is that it’s always important to glean as many truths from a successful model as possible. Scientists don’t abandon theories just because they haven’t explained all the data. All theories are incomplete, but we should seek to embrace the best and see how far we can get with them. 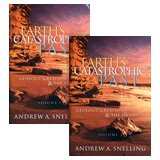 Is catastrophic plate tectonics the “final word” in creationist geology? Will it withstand further scientific and scriptural scrutiny? Only time will tell. If experience has taught me anything, it’s that our scientific models will look very different in, say, ten years’ time. Some will have been confirmed, others will have fallen by the wayside, and new ones will have been developed. But that’s not something that should unduly concern us. In fact, it’s one of the things that makes science so exciting.